I went to Piedmont at the beginning of September and spent four lovely days touring the gorgeous region, tasting wines and visiting a few wineries. I arrived to Bergamo on a FRI morning and drove towards La Morra where my accommodation was. 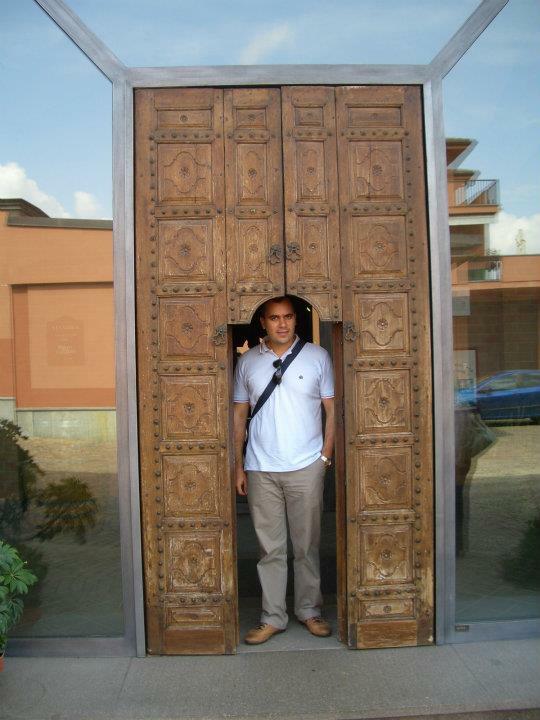 As Braida is in Rocchetta Tanaro which is on the way to La Morra, this was the first winery visited. 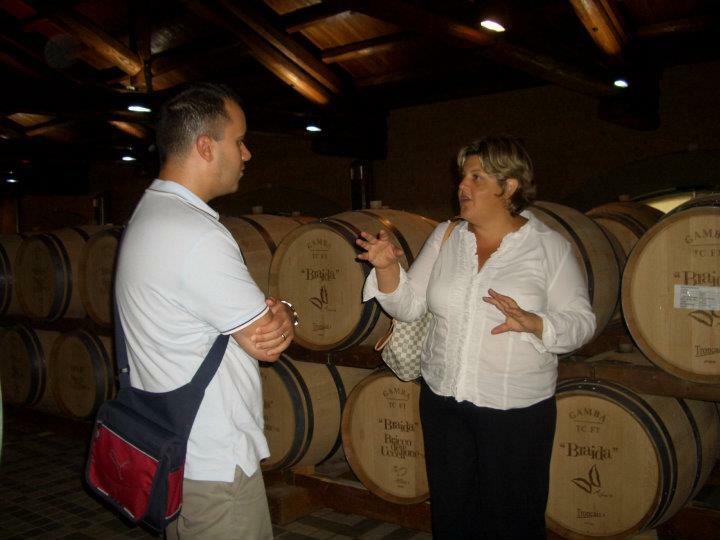 I met Mrs Raffaella Bologna during this year’s edition of Vinitaly and during our conversation she mentioned how happy she was with her Romanian employees that were not doing just the hard labor, but also were involved in the wine-making process. So when I wrote her that I will come to Piedmont, she immediately scheduled my visit to her winery. She even went the extra mile and invited me to have a family lunch at her residence. Braida is a beautiful village story: It all began, just as in any village story, with a nickname: Braida, which Giuseppe Bologna earned whilst playing pallapugno, a traditional Italian ball game played with bandaged wrists in teams of four. His son, Giacomo Bologna inherited both his father’s vineyard and his nickname, and the unconditional love for his land and wine. In charge of the property are now Giacomo’s children: Raffaella and Beppe. 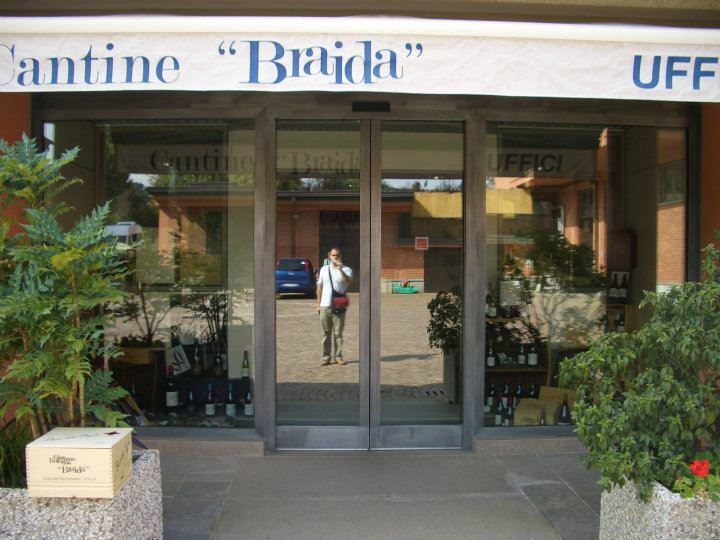 Braida is producing the most famous and probably the best Barbera d’Asti: Bricco dell’Uccellone. 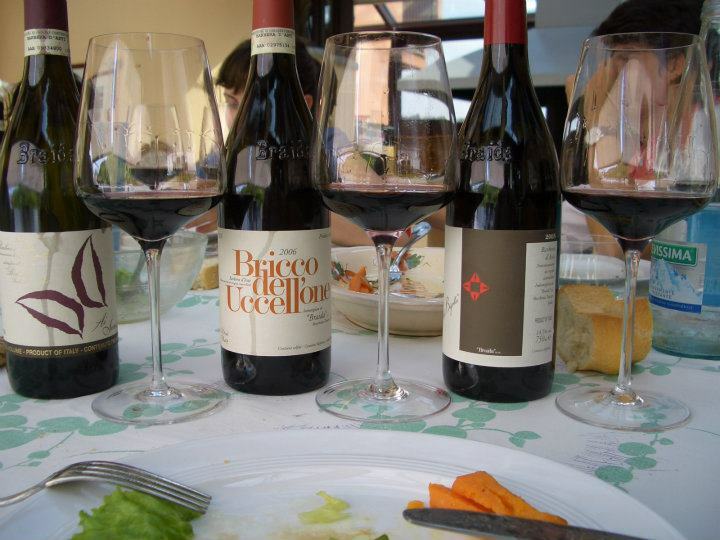 Until the late Giacomo Bologna stunned critics and connaiseurs alike, his barriques aged single vineyard Bricco dell’Uccellone, Barbera d’Asti was considered as merely the coarse, everyday dinner companion for many northwestern Italians. 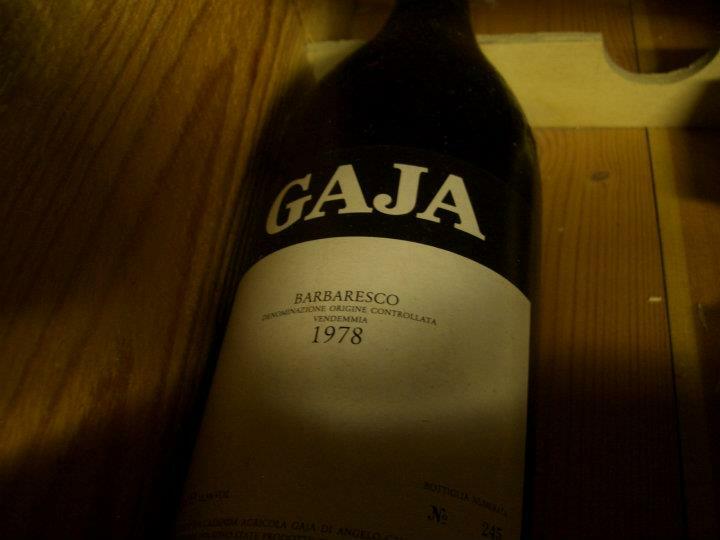 While studying the techniques of the best French winemakers in the late ’70s, Mr Giacomo Bologna learned how malolactic fermentation in wood could soften Barbera’s strident acidity and add tannins that the grape inherently lacks. 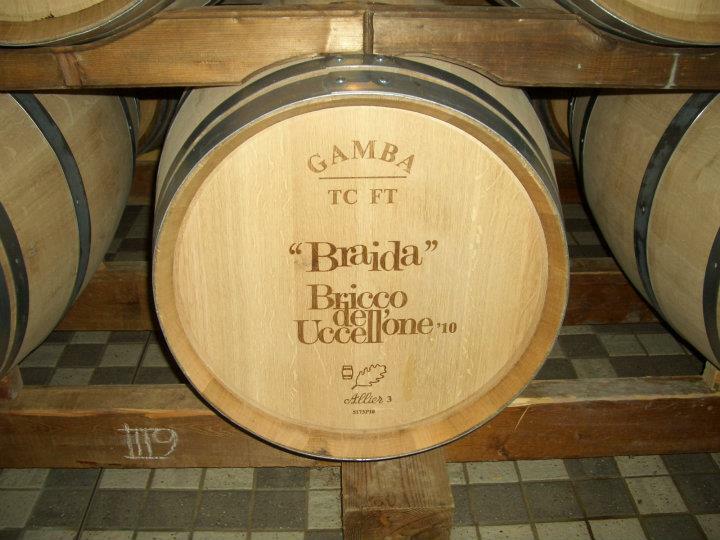 He realized that, if used wisely, barriques would not only add subtle flavors to Barbera, but also polish its rustic edges. 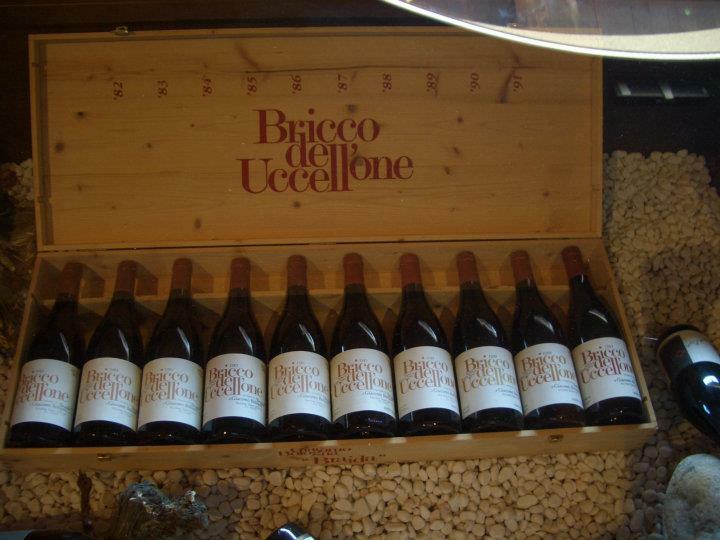 At the 1985 edition of Vinitaly, the country’s largest annual wine show, Bologna launched his Bricco dell Uccellone 1982 and within five days all 9800 bottles were pre-sold. 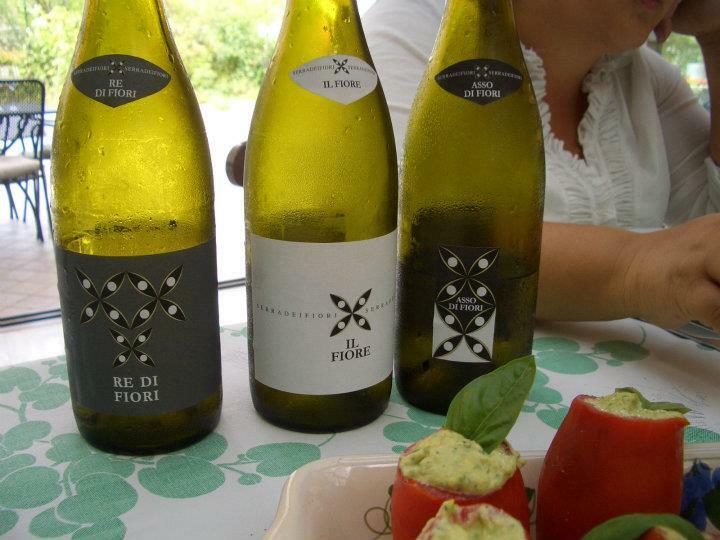 Other producers noted the wine’s success and soon a wine-making revolution started. 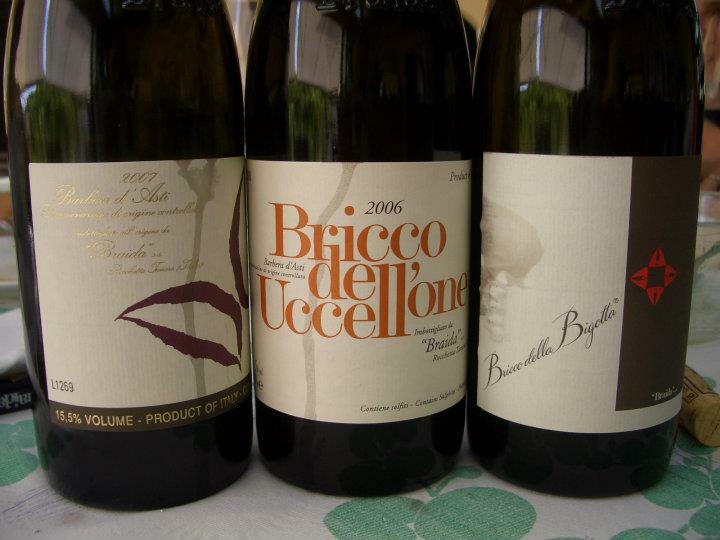 Although most Barbera d’Asti is consumed within the first 3 to 5 years, Bricco dell’Uccellone has great aging potential. 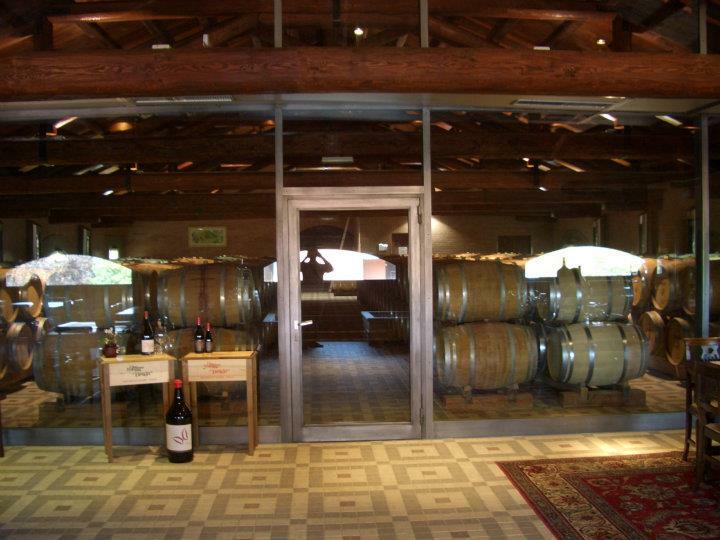 The property covers 56 ha and produces DOCG wines: Barbera, Moscato and Branchetto and DOC wines: Grignolino, Monferrato Rosso, Langhe Bianco and Langhe Chardonnay. Their wines are sold all over the world. Just like in Bordeaux where there was an early harvest this vintage, in Piedmont they faced the same situation. Mrs Bologna mentioned that they already started to harvest on Sept 2nd and that hectic times were further expected. Usually they pick gradually the different varieties, but this vintage she was expecting to have almost all 8 different varieties picked over a very short period of time. 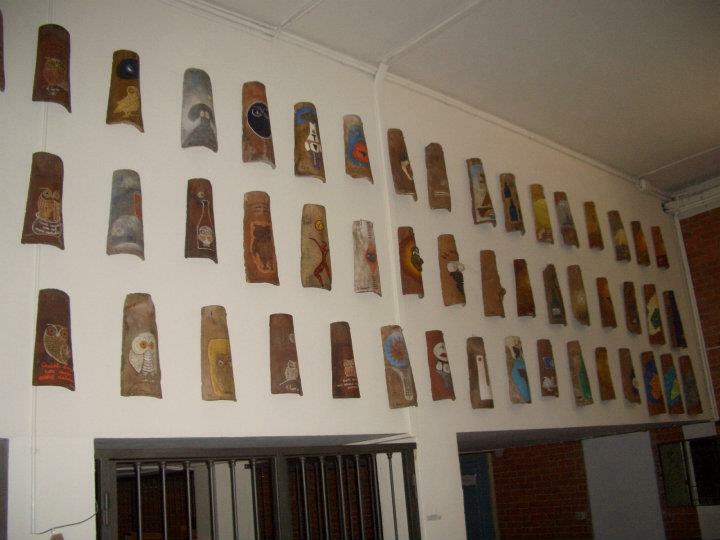 One of the walls of the winery is decorated with some very cool pieces of painted oak. Together with Mrs Bologna, we did a full tour of the winery, visited the cuvier, the barrels and aging room, the tasting room while she was explaining the wine-making process for all their wines. Oddly enough, their barrel aging room is located on top of the cuvier(where the stainless steel tanks are), therefore is pretty difficult – not to say impossible – to use gravity when transferring the wine into the small oak barrels. However, they do have a large industrial elevator in the winery and use it to transport the wine on the upper floor, where the small oak barrels are, not needing to use pumps in the process. 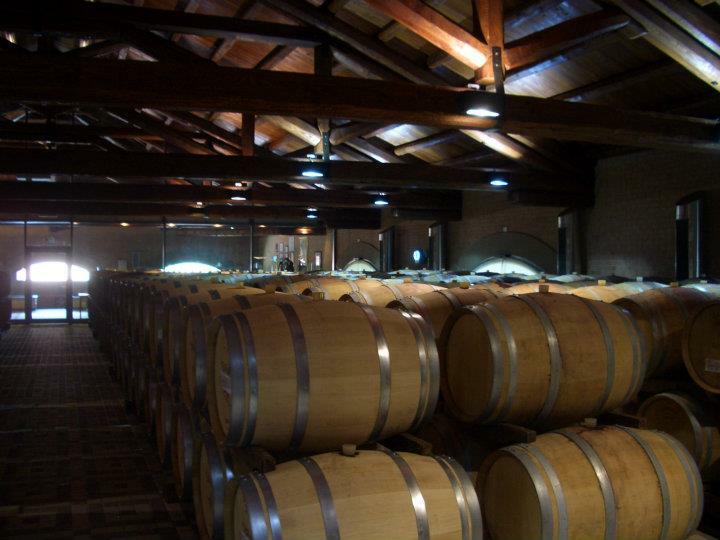 They use different types of oak barrels including new French and Slavonian. 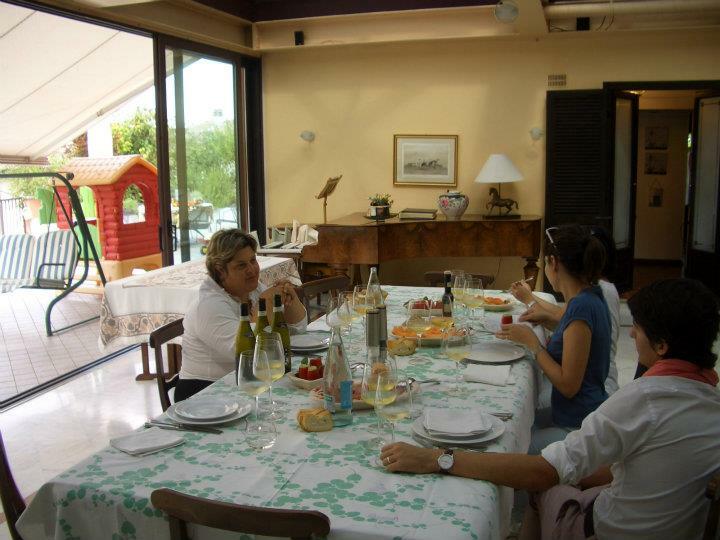 At the end of the tour we had a lovely lunch and tasted some very interesting wines in her spacious living room. I experienced delicious traditional Piedmont’s dishes that went very well with the wines tasted. Some of the highlights of the meal were for appetizers: grilled red and yellow bell peppers with salted anchovies on top that pair very well with the barrel aged Chardonnay and roast-beef with brown sauce and vegetables that prepared the stage for the red wines. With appetizers we had 3 white wines all Langhe DOC: Re di Fiori 2010 (100% Riesling Renano), Il Fiore 2010(70% Chardonnay and 30% Nascetta, an indigenous Piedmont grape, semi-aromatic with good longevity) and an 8 months barrel aged late harvest Chardonnay – Asso di Fiori 2009. 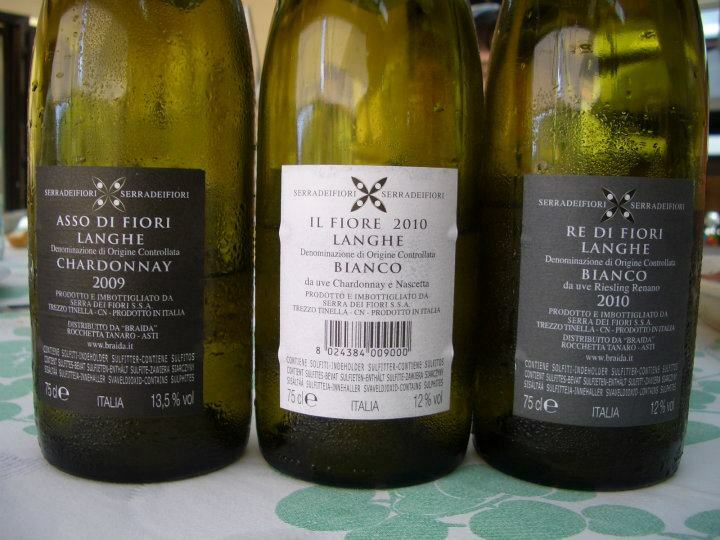 The Re di Fiori 2010 has good freshness and vivid aromatics, Il Fiore 2010 has good freshness and floral aromas mixed with minerals, is clean on the palate and has a nice length. Both wines have a welcoming 12% alcohol level. The three red wines we had were by far the most interesting part of the tasting. We had three different interpretations of the same Barbera d’Asti grape from three different vintages. 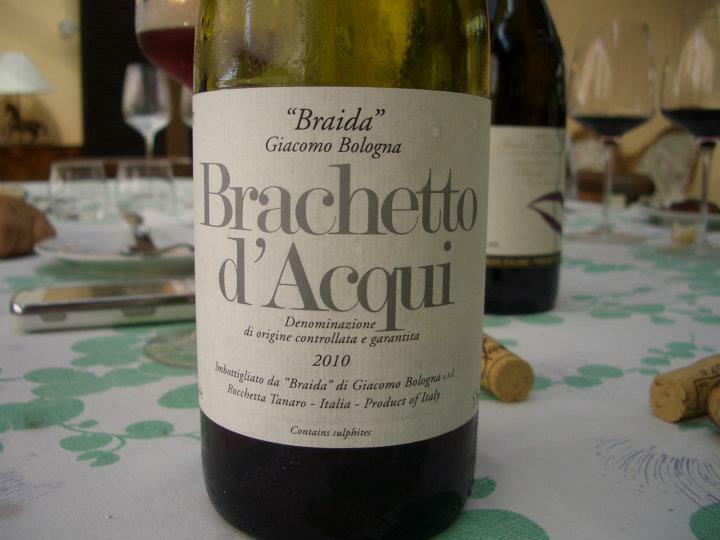 We had a traditional dessert with a Brachetto d’Acqui 2010(5.5% alc) – Brachetto is the grape variety, a sweet red wine that resembles a Moscato d’Asti. Perfect pairing with dessert. Just before leaving the winery I asked Mrs Bologna if she allows me to see their private wine collection especially because during lunch we discussed about enjoying older vintages and her preference in terms of wines. She also mentioned about some of their own 30-40 years old wines she recently tasted and her preference for old Burgundy as well. 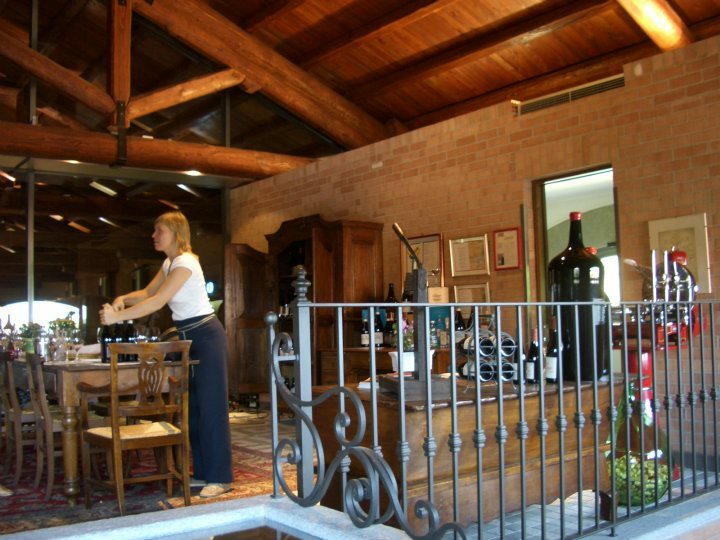 Also it is common for wineries, and not only with local ones, to exchange wines between them therefore I saw a lot of famous Italian wines in her cellar. Her husband is in charge of the International expansion of their products and is now studying to become a Master of Wine(MW) in London. I got the chance to take a small tour of their private cellars filled both with Italians and French fine wines. I thanked my host for all the kindness she showed me and the great wines and lunch we shared and continued my trip further in Piedmont. Next visit was at a traditional producer from Barolo.